Chairs: Jan Byška, Michael Krone First session: Computational analysis of dynamic molecular data. Chair: Björn Sommer Second session: Frameworks for molecular data visualization. Bio: John Stone is the lead developer of VMD, a high performance molecular visualization tool used by researchers all over the world. His research interests include molecular visualization, GPU computing, parallel processing, ray tracing, haptics, and virtual environments. Mr. Stone is a Senior Research Programmer in the Theoretical and Computational Biophysics Group at the Beckman Institute for Advanced Science and Technology, and Associate Director of the NVIDIA CUDA Center of Excellence at the University of Illinois. 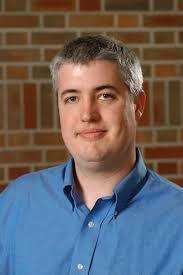 He was inducted as an NVIDIA CUDA Fellow in 2010. In 2015 Mr. Stone joined the Khronos Group Advisory Panel for the Vulkan Graphics API. In 2017, Mr. Stone was awarded as an “IBM Champion for Power” for innovative thought leadership in the technical community. He also provides consulting services for projects involving computer graphics, GPU computing, and high-performance computing. The combination of experimental structure information, molecular dynamics (MD) simulation, and high-fidelity visualization techniques with HPC computing resources creates a powerful “computational microscope” that permits molecular scientists to view the structure and dynamics of biomolecular complexes in atomic detail within realistic cellular environments. Advanced simulation methodologies such as multiple-copy MD, hybrid quantum mechanics / molecular mechanics (QM/MM), data-guided hybrid structure modeling simulations, and multi-scale modeling techniques each pose new challenges for selection, interaction, and visualization. I will describe analytical and visualization challenges that have arisen for state-of-the-art molecular dynamics simulations and opportunities for visualization tools and techniques to contribute to their ultimate success. 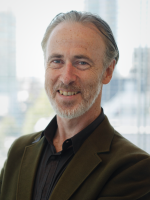 Bio: Seán O’Donoghue is a Senior Principal Research Scientist in Australia’s Commonwealth Scientific and Industrial Research Organisation (CSIRO), Sydney. He is also a Laboratory Head and Senior Faculty Member at the Garvan Institute of Medical Research in Sydney. He was also recently appointed as a Conjoint Professor in the School of Biotechnology and Biomolecular Science (BABS), University of New South Wales. He received his B.Sc. (Hons) and PhD in biophysics from the University of Sydney, Australia. Much of his career was spent in Germany, where he worked both in the Structural and Computational Biology programme at the European Molecular Biology Laboratory (EMBL), and at Lion Bioscience AG. He has been awarded a C. J. Martin Fellowship from the National Health & Medical Research Council of Australia, an Achievement Award from Lion Bioscience, and was recently elected a Fellow of the Royal Society of Chemistry. He is leading several projects, including: and Reflect, a browser plug-in designed to help in understanding life science literature widely used by life scientists (first prize, Elsevier Grand Challenge); VizBi, an international initiative aimed at improving data visualization and user experience in bioinformatics software; VizbiPlus, aimed at educating and inspiring the general public about cutting-edge biomedical research (Finalist, 2015 NSW Emerging Creative Talent Award); and Aquaria (first prize, 2015 NSW iAward for Research and Development), a resource that simplifies discovery and insight from protein structures. Molecular graphics has entered a new era; it is now used much more widely, and for an increasingly wide variety of applications. In this talk I will highlight challenges and opportunities arising with web-based deployment, how we can learn from past mistakes in our field, and how we can formally evaluate alternative visualisation methods. I will also showcase several applications in which molecular graphics is helping interpret cutting-edge biomedical datasets, including large-scale sequencing studies of specific diseases (e.g., cancer), as well as large-scale modeling studies of the ‘protein structure universe’. I will briefly discuss challenges presented by the ‘dark’ proteome of structural biology. Finally, I will discuss the use of molecular graphics for educating and inspiring the broader public about breakthroughs in molecular medicine.